......Damn, there are a few here that had me legit laughing out loud. 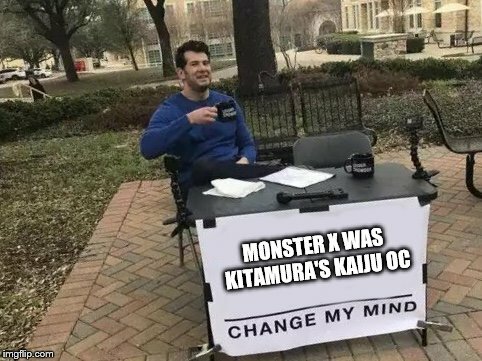 Monster X actually worsened due to being attached to Ghidorah. It was certainly humanoid, but it had a very distinct design in contrast to past monsters. Not Godzilla pre say but Toho did distributed it. Last edited by Living Corpse on Fri Jan 11, 2019 10:07 pm, edited 1 time in total. I'd have those titles reversed. Why's that? As fun as they are, the 70s films copied the formula of GvMZ. Especially Gigan. _JNavs_ wrote: Why not have 2 shared universes? One for America/Worldwide, and one for Japan/Worldwide? Are you skreeonking mad? We can barely handle a "single" movie......imagine the shiit that would occur with TWO shared universes? Itd be the Kinos against the pleebs up in this beach. vs. Megalon & vs. MechaGodzilla being 3 of my all time favorites. 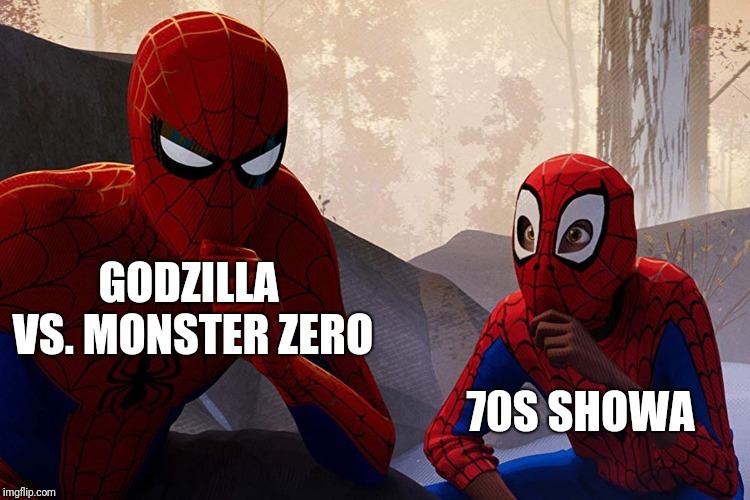 the Godzilla films of the 70's. That's fine. I wasn't trying to make the case that Monster Zero is better, just that the 70s films largely copied its formula (with the notable exception being Hedorah). Dr. Professor wrote: That's fine. 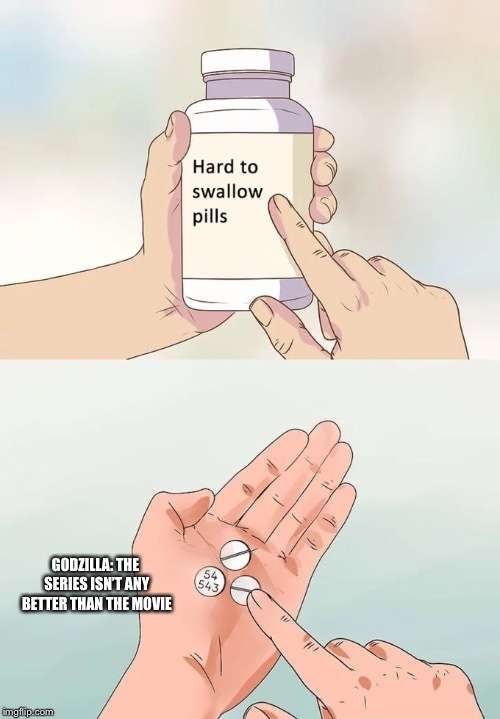 Just out of curiosity, what are the other Godzilla films that you find boring? Dr. 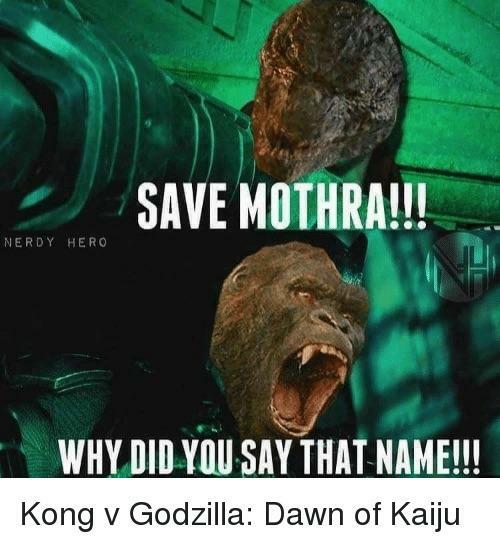 Professor wrote: Just out of curiosity, what are the other Godzilla films that you find boring? 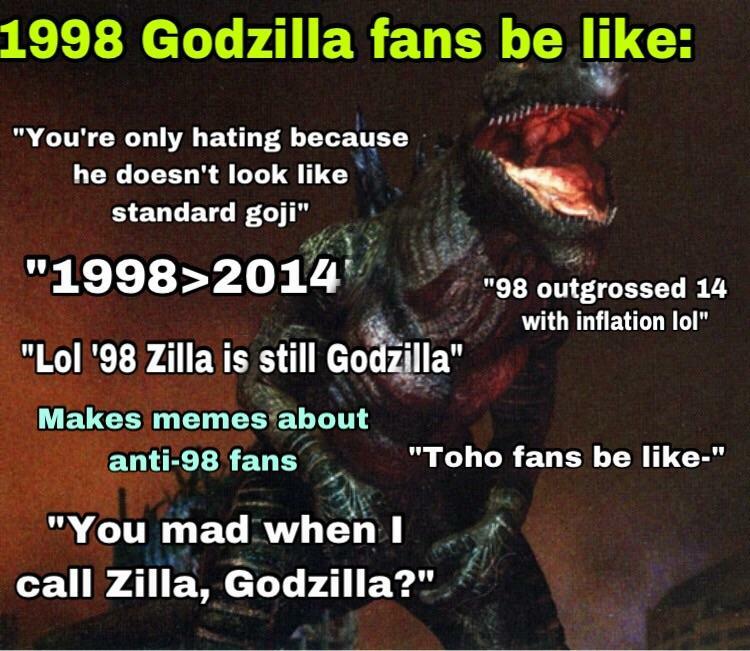 And if I'm being perfectly honest...Godzilla 2000 is kind of flat until Orga shows up. films I'd personally suggest to watch. Last edited by Grievous on Sat Jan 12, 2019 6:34 am, edited 1 time in total. 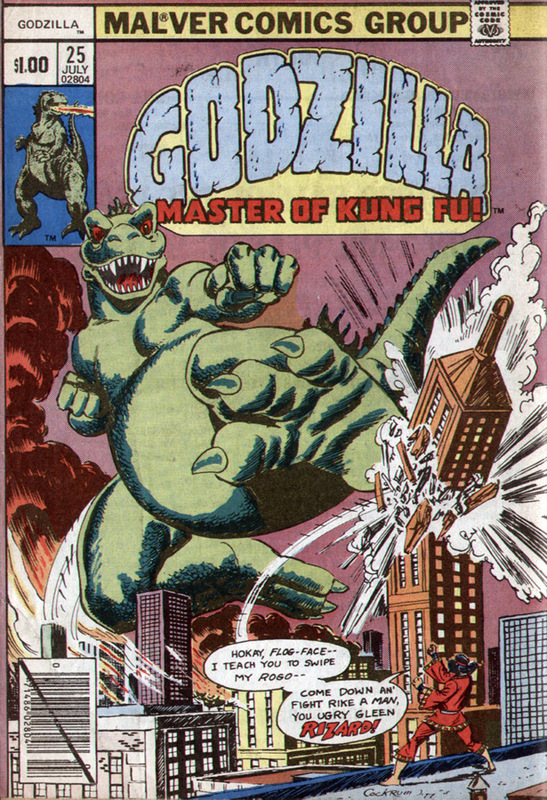 The next exciting installment of "Godzilla footage set to rap music"
But it's more faithful an adaption. And more arguably more fun. 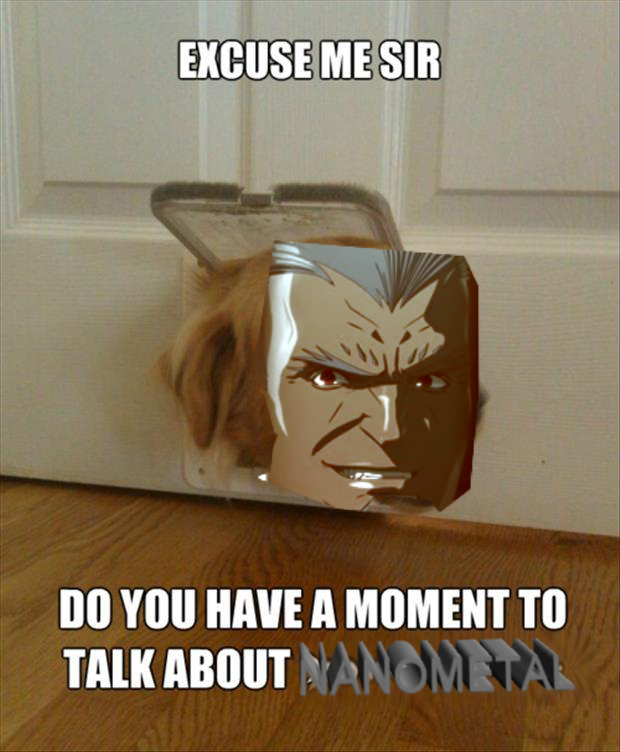 Is Kong a Castlevania fan or a Mortal Kombat fan? Last edited by Godzillander on Thu Jan 24, 2019 9:55 am, edited 1 time in total. Last edited by ROMG4 on Thu Jan 24, 2019 10:55 am, edited 1 time in total. Why do you come to this thread if you’re going to be so angry and bitter? "The only human characters you remember"? Seriously? I mean, I know not seriously, but a joke still has to have some basis in truth to be funny.